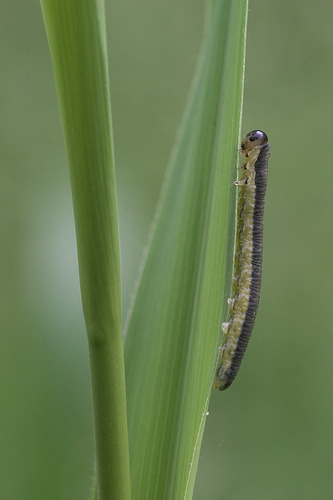 The white blur in the background is a single white flower a few inches behind the catterpilar. 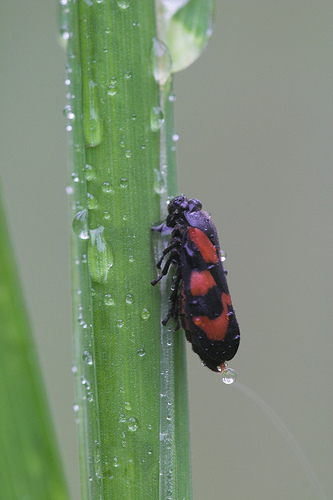 Froghopper feeding on the liquids in the grass. 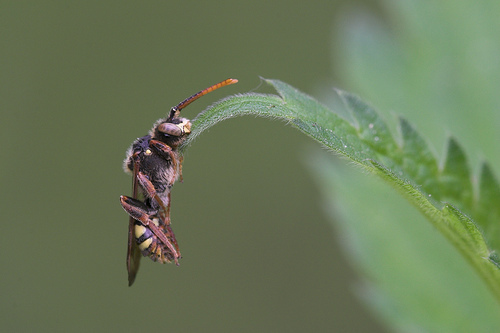 Nomada lathburiana hanging by it's jaws. Can anyone tell me why? 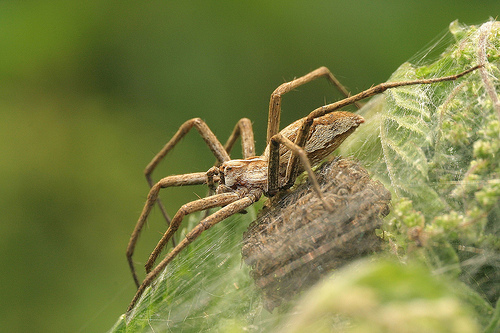 Nursery web spider on its nest, guarding it's offspring.